Attic black-figure hydria. A scene from a chariot race is shown on the shoulder. 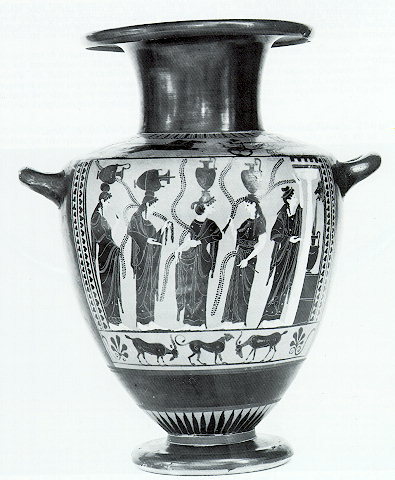 The main metope on the belly of the vase includes a representation of five women bearing hydriae near a fountain house, possibly the Enneakrounos, the famous fountain in the Athenian Agora. Dated to ca. 530-520 B.C. Inv. no. 2499.